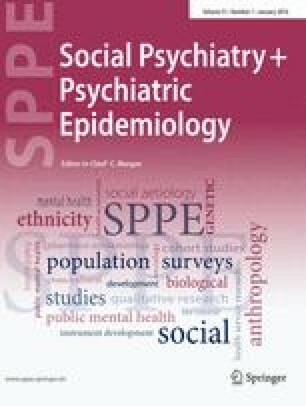 The lack of established brief Personality Disorder (PD) screening instruments may account for the absence of PD data from previous national mental health surveys. This paper documents the measurement of PD in a large Australian survey, with a particular focus on the characteristics of the screening instrument and the consequences of its mode of administration and scoring. PD was assessed in the 1997 Australian National Survey of Mental Health and Wellbeing (N=10,641 adults) using the 59-item version of the International Personality Disorder Examination Questionnaire (IPDEQ), which was administered in a computerised format by trained non-clinical interviewers. Normative profiles are reported for three IPDEQ scoring schemes (simple categorical, IPDEQS; ICD-10 criterion based categorical, IPDEQC; and dimensional scoring, IPDEQD), together with an examination of the IPDEQ’s psychometric properties and associations with Axis I comorbidity, disability, and selected psychosocial characteristics. The overall rate of ICD-10 PD in Australia was estimated to be 6.5%, although the categorical assessment of dissocial PD clearly provided an underestimate. PD was associated with younger age, poorer functioning, and a sevenfold increase in the number of comorbid Axis I disorders during the preceding 12 months. While the methods used to assess PD in the national survey were constrained by project demands, the overall performance of the IPDEQ was considered satisfactory, based on data from a range of sources. In particular, although IPDEQ item and subscale revisions are recommended, evidence is presented suggesting that aggregate IPDEQ dimensional scores should provide useful self-report indices of the overall likelihood of PD.